Some UD Trucks Manuals PDF above the page. In 1960, after becoming a part of Nissan, it received a new name Nissan Diesel. After some time, the company has become a major developer and supplier of power units for the entire range of commercial vehicles. It organized its own assembly line and advanced design bureau. At the turn of 2000, the company had four plants in Japan and several overseas branches, which annually attracts up to 50 thousand trucks of medium and heavy classes, as well as buses. Two thirds of the company's products exported, mainly to Asia, South-East Asia and in the United States. March 21, 2006 the company Volvo AB release is for media, which reported on the purchase of 13% shares of the Japanese truck manufacturer Nissan Diesel of Nissan Motor, with an option to purchase an additional 6% of the shares within four years. The purchase price at the time of the transaction amounted to about half a billion Swedish kronor. A year later, the same source said the deal, which resulted in Volvo AB company became the owner of 96% of voting shares. Which translated into Russian language means a change of ownership. 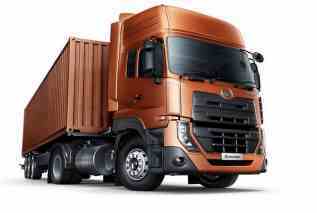 In 2010, Nissan Diesel renamed the total for all subsidiaries Volvo Group, the name - UD Trucks. 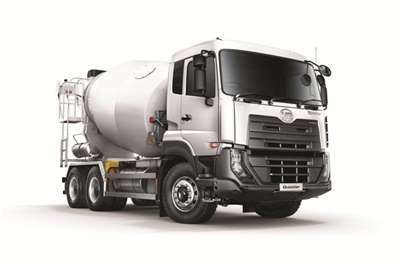 Recall: Mack Trucks ; Renault Trucks; Volvo Trucks. Today, UD Trucks Equipment is sold in 70 countries around the world. Accordingly, this acquisition allowed the company to further increase its presence and dealer network for trucks of Volvo cars in the markets of Japan and Southeast Asia. Through the transaction, Volvo AB is a leader in the world ranking of manufacturers of commercial vehicles.